Doctorate (EdD) from Harvard University in Organizational Behavior. Masters in Psychology from University of Texas. Licensed Psychologist in the Commonwealth of Massachusetts. Larry Stybel is a licensed doctoral level psychologist, and co-founder of two businesses. One of them is Board Options, Inc.
Maryanne Peabody and Larry Stybel also are co-founders of Stybel Peabody Associates, Inc. Since 1979, the firm has been helping companies grow without destroying what made them great through senior-level retained search, leadership development, and outplacement. Larry has been on the Board of the National Association of Corporate Directors (New England Chapter), a venture backed technology company in the talent management space, and a private company that is retained by private equity firms to turn around troubled portfolio companies. Seat at the Table-for Board members and CEOs only. Chief Operations Officer Forum of Boston. The Chief Medical Officer Dinner Club. The Chief Human Resource Officers Breakfast Club. Since 2016, Larry has served as Adjunct Instructor of Leadership at Northeastern University’s D’Amore McKim Business School. He also runs retreats for Young Presidents Organization. In 2017 the Marquis Who's Who Publications Board named Larry Stybel winner of its Albert Nelson Marquis Lifetime Achievement Award. This Award recognizes Larry’s "lasting contributions to the field of leadership." Larry is listed in Marquis' WHO'S WHO IN BUSINESS & FINANCE and Marquis' WHO'S WHO IN AMERICA. He and Maryanne Peabody are co-authors of NAVIGATING THE WATERFALL, a leadership and job search framework for the 21st Century. Video Clips and Other Talks. MBA, Southern Methodist University, Dallas, Texas. Recipient/Hoblitzelle Foundation's Women in Business Scholarship. Georgetown University, Certificate in Leadership Coaching. Columbia University, Advanced training in organizational behavior. Maryanne Peabody is co-founder and Vice President of Stybel Peabody. As President of Arbora Global's United States group she spearheaded its move into developing web based career management tools for use on a global basis. An organization development consultant, she has assisted companies in the areas of leadership effectiveness and career management since 1981. One of Maryanne's areas of expertise is assisting individuals rising through the professional ranks to become leaders without their having received specific education in management. 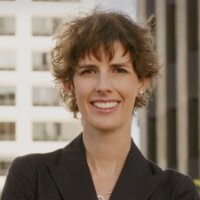 Her work includes the fields or law, medicine, accounting, professional services consulting, health care, technology, and education. Maryanne is on the Board of Directors of a company which owns nursing homes. Prior to founding the firm, Maryanne held leadership positions in start-up health care organizations. Some of her accomplishments include the establishment of clinics in rural Texas, quality care programs in long-term care facilities and the framework for a home health care program for the City of Boston. Her health care management experience includes hospital, ambulatory care, community health, home health and long term care settings. Maryanne was on the Board of Directors of the New England Chapter of the National Association of Corporate Directors, and a founder of NACD's "Best Practices" seminar. She has served on the Board of a company that builds and manages assisted living facilities for low income elderly. As an elected official and Chairman of the Town of Wayland's Board of Health, Maryanne also gained experience in key environmental health issues. She currently serves on the Personnel Board for the Town of Wayland. Maryanne's MBA is from Southern Methodist University in Dallas, where she was the first recipient of the Hoblitzelle Foundation's Women in Business Scholarship. 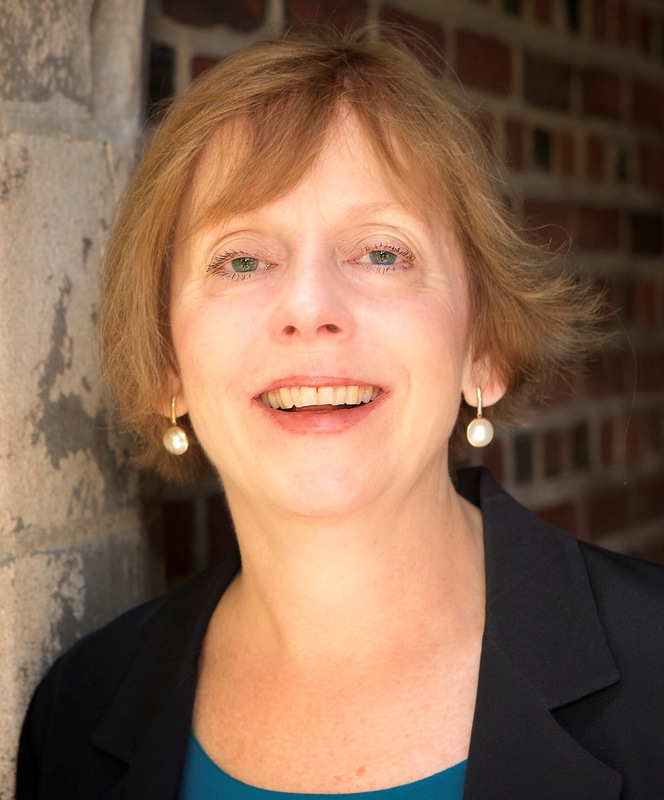 Maryanne has a certificate in Leadership Coaching from Georgetown University and advanced training in organization behavior from Columbia University and has received certification as a Professional Certified Coach (PCC) from the International Coach Federation. Maryanne has been a guest on various national and local TV and radio programs to discuss career issues. Her work has been featured in The Wall Street Journal, Harvard Business Review, MIT Sloan Management Review, and The Boston Globe. Graduate of the Kellogg School at Northwestern University. A member of Beta Alpha Psi/National Accounting Honorary. Graduate, Episcopal Divinity School, Cambridge, Massachusetts. Trustee (Past President) of Huntington Theatre in Boston. Warren Radtke is an internationally recognized Executive Coach and Career Management Consultant. He has assisted individuals manage the senior executive assignment cycle for more than twenty-five years. As an entrepreneur he was a founding principal of an international Human Resources Consulting Firm with offices throughout the world. He became EVP and a member of the Executive Management team when the firm became publicly owned overseeing revenue development and operations for the eastern one third of the United States. He has been with Stybel Peabody for 15 years. Warren's coaching practice focuses on CEOs and those who report to them especially those who interface with the Board of Directors. Working with individual managers he is especially skilled at helping them become more effective in the management of colleagues and subordinates. 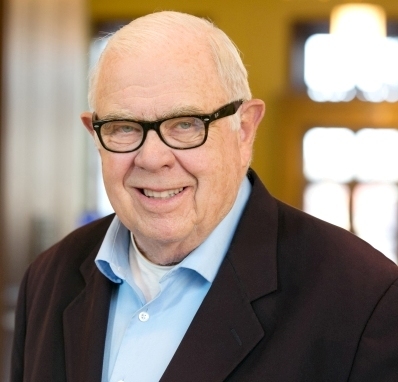 Prior to establishing himself as a consultant and coach, Mr. Radtke served as parish clergy for seventeen years after beginning his career in financial services with General Electric. M.F.A. in Directing from Boston Univeristy. B.A. in Theatre Arts from Brandeis University. Certified Specialist in the Birkman Method. Michael Allosso has worked for over 18 years with Stybel, Peabody as a presentation and communications coach. He brings his "You on Your Best Day" program to executives, corporations, and organizations. Michael's background as an award winning professional director/choreographer of countless plays, films, videos and live events has given him the tools to augment his talent of instantly pinpointing an individual's communication/leadership skills and shortcomings and to help implement concrete methods of improvement. Michael has been the Artistic Director and Manager of numerous theaters in the Boston area and has created and managed his own improvisational comedy troupe. He has taught in numerous colleges and schools and has been chief administrator of the Boston University Theatre Institute and National Dance Institute/N.E. under Jacques D'Amboise. Ken began his career as an engineer and then moved into management. He was CEO of two companies and then acquired a career management firm. He successfully sold the firm to a global player in the industry. Ken divides his time between Stybel Peabody and MIT, where he provides career counsel to Sloan School of Management Alumni. He received his B.S. from Yale and his M.S. in Management from the Sloan School of Management at MIT. German Lam's credentials include chef at the Boston and Cleveland Ritz-Carlton Hotels, Harvard Club of Boston and Chatham Bars Inn. Additionally, he was executive chef at Mirabelle Restaurant located on Boston's Newbury Street. Chief Lam works with Stybel Peabody/Board Options to prepare delicious team building experiences whose lessons can be enjoyed for years after the event. Chef Lam will have your team/board prepare a meal under his direction. In preparing this meal, we will cook up some dilemma that parallels a complex issue faced by the team in the "real world". The team will have to stick with "tried and true" or leverage its resources to "think outside the box" to complete the task. As the finished product is consumed by the team, Stybel Peabody/Board Options consultants will lead a discussion about what participants learned from their kitchen experiences that could be applied at work. Kevin Shields brings over thirty years of experience in executive search, organization development, and leadership development. He began his career doing construction work and wound up as a member of the Board of Directors of the George B. H. Macomber Construction Company. 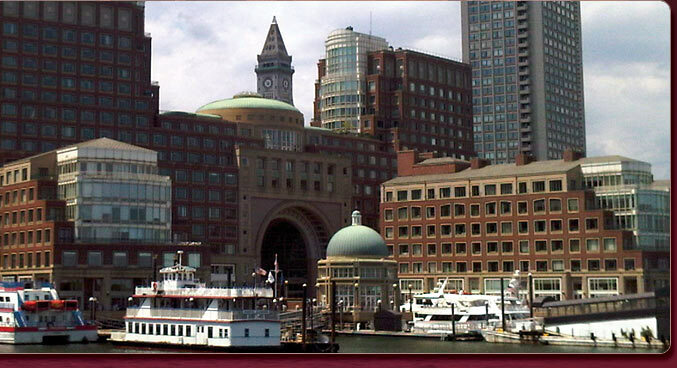 At the time, Macomber was one of New England’s largest construction firms. Corporate clients include State Street, Citigroup, General Dynamics, and Bright Horizons. NGOs and non-profits include the Board of Directors of the Hope for African Children’s Initiative, a Bill and Melinda Gates Foundation funded organization. Other clients include the International Fund for Animal Welfare, where he served as interim COO and Vice President of Philanthropy, Heifer International, and Save the Children. Kevin received his BA from the University of New Hampshire and his Masters degree from Northeastern University. Leadership Coaching Certificate, Georgetown University. M.A., Clinical Psychology, Pepperdine University Graduate School of Education and Psychology. BA in Psychology, Georgetown University. Sarah Blute Kaschak’s focus is leadership development and effective communication. Previous positions include leadership roles in operations and project management. Her work is grounded in the principles of positive psychology, cognitive behavioral psychology, and organization development. She enjoys hiking, kayaking, scuba diving, sailing, and has even tried skydiving. Dr. Henrik Totterman is an international entrepreneurial leader with over 20 years experience from building and transforming organizations, as an entrepreneur and employed executive. He is seasoned in building teams and creating, implementing, and adjusting global strategies in highly competitive and regulated regional settings. As a serial entrepreneur, his experience spans across the fields of environmental services and business advising, with executive experience from the family businesses in industrial trading and manufacturing. He worked previously for 8 years as Dean of the rapidly globalizing, recently triple accredited Hult International Business School in Boston. He continues now as Professor of Practice at Hult, teaching faculty at Harvard University, Division of Continued Education, and advices clients as the President of LEADX3M LLC. Henrik is a Doctor in Entrepreneurship and Management from Hanken School of Economics, where he continues to be engaged with explorative learning and executive education. He is also on the Advisory Board of ACCION East, dedicated to helping North-American entrepreneurs generate income, build assets, create jobs and achieve financial success through business ownership. As an entrepreneur, executive and professor, Henrik is able to successfully leverage his extensive experience in academic and educational arenas to assist companies and institutions in reaching their goals. Solving strategy, leadership and talent-development challenges with an entrepreneurial approach is his passion. What keeps you and your leadership awake at night?